Cal Newport isn’t on Twitter, Facebook, Instagram, or any other social media platform—and for good reason. An associate professor of computer science at Georgetown University, Cal has spent a lot of time studying and writing about how humans interact with technology. He’s the author of six books, including Deep Work, So Good They Can’t Ignore You, and his latest, appropriately titled Digital Minimalism. In this episode, Cal explains how social media has become more and more addictive and how this fragments our attention to make real concentration increasingly difficult. Listen in to learn the benefits of digital minimalism, how to draw the line between beneficial online activities and those that have a negative impact, and what you can do to give yourself a digital detox. What deep work is and why it’s important. How social media is engineered to keep us hooked. The distinction between beneficial activities and those that only consume people’s time. A useful tool software for staying focused. Thoreau’s concept of time economics and how it applies to social media. Why you don’t need a social media following to get a publishing deal. The benefits of digital minimalism. How to give yourself a digital detox. Roger Dooley: Welcome to The Brainfluence Podcast. I’m Roger Dooley. I’m excited to have today’s guest here. I’ve wanted to get him on the show for at least a year, but it didn’t happen until now, and perhaps one reason is that he has no social media presence, no Twitter, no Facebook, no LinkedIn, but he’s been very productive perhaps because of that. He’s written six books including a huge bestseller that came out just two years ago. That book was Deep Work. With us today is Cal Newport. He’s a professor of computer science at Georgetown University and has spent a lot of time thinking and writing about how humans interact with technology. His new book is Digital Minimalism: Choosing a Focused Life in a A Noisy World. Welcome to the show, Cal. Cal Newport: Roger, it’s my pleasure. Roger Dooley: Cal, have you always avoided social media? I ask because, these days, it’s pretty hard to get your first book deal, with a publisher anyway, if you can’t show that social media engagement and that you’ve got this really active, engaged platform. Cal Newport: Yeah, I’ve never had a social media account. I know there is some interest in social media accounts from publishers, though I will say that the bigger interest that publishers have is really good books. As with a lot of things surrounding social media, there’s often an inflation, at least in my opinion, of the centrality of that presence to other sorts of value-producing activities. Roger Dooley: Yeah, I think it may vary with publishers too. I think some are probably a little bit more … obviously, they want to send out a quality product. They don’t want to publish a bad book, but given the choice of several books, one where the author has a platform, they tend to go with that one because, these days, at lease some publishers basically invest nothing in promotion. They expect the author to be responsible for selling the book to the point where some now are even demanding authors commit to purchasing quantities of the book in order to close the deal. I think that’s just what publishing is coming to, unfortunately. It’s under a lot of pressure, and different businesses are trying different ways of solving that problem. Cal Newport: Yeah. That might be the case, though I will note, unless you have a truly massive social media presence, the difference between having a reasonable social media presence or not is, in reality, often measured on the scale of maybe 500 to 2,000 total sales, which if we’re looking at is a book going to be a breakout or not? is often a small drop though it can help jumpstart things. Though I’ll tell you I’ve been hearing now, just to follow this tangent, is that publishers are shifting some of this interest towards email lists. Roger Dooley: Oh, absolutely, yeah. That’s true. Cal Newport: Which is still a circle because when I got started in publishing a long time ago back before there were social media platforms, email lists were the big thing. We’ve come full circle that it shifted to social media, and now they’re realizing the click through and ROI and email is much, much higher than on social media, so now there’s this resurgence of, “Well, wait a second. How big is your email list?” It’s funny, yeah. Roger Dooley: Right. That’s definitely a key part of the author’s platform. We had Tim Grahl on the show a couple years ago. He’s a book marketing expert. Basically, he said that if you want to move books, it’s going to happen through your email list, that social media can keep your audience engaged, but even authors that he worked with that had massive Twitter followings just didn’t see actual books being moved very much when the author posted about them, but the email did actually have a good ROI. We don’t want to get too into the weeds of the publishing industry here, so a lot of our listeners probably know you for Deep Work, Cal. I think the ideas in that book lead very logically into what you write about in the new book. What is deep work, and why is it important? Cal Newport: Well, deep work is my term for the activity in which you are focused without distraction on a cognitively-demanding task, so when you’re giving something not only your full attention, but you’re doing no context switching, so not even the quickest glance at a phone or an email inbox. It’s completely unbroken concentration. My argument is that, in many different knowledge work jobs, deep work is becoming increasingly valuable. At the same time, it’s becoming increasingly rare because of technological forces in the workforce and outside of the workforce just trying to distract and fragment our attention more and make concentration more difficult. To me, this is a classic supply and demand situation. We have something becoming more valuable at the same time that it’s becoming more rare, which means if you’re one of the few to cultivate this skill, you’re going to get a disproportionately high price for what you’re able to do. Roger Dooley: What percentage of people in the workforce do you think have a need for deep work? I mean, obviously, people writing code, people writing books, people doing research, and planning research, and so on definitely need that kind of time. Overall, how would that break down, do you think? Cal Newport: I think it’s probably a non-trivial fraction, well over a majority of non-entry-level knowledge work jobs. I think it applies more places than people initially assume. It’s not everywhere and so, certainly, administrative jobs or certain types of communication-focused jobs. What I found in my research is that, maybe three times out of four, where a non-entry-level knowledge worker says, “My job doesn’t need deep work,” on a further examination, it turns out, actually, it would benefit from intense concentration, which sort of makes sense because, essentially, it’s like a marketplace. Things that don’t require rare and valuable skills, such as answering emails, moving information around, scheduling meetings, jumping on calls, none of this actually requires the application of a hard-won skill. The value that that actually produces is going to be bounded as opposed to activities in which you’re applying a hard-won skill to produce new value. In knowledge work, that activity is almost always cognitive, and cognitive activities are almost always greatly optimized if you’re able to give them unbroken concentration. Roger Dooley: Yeah. As an author, I’m really sort of experiencing a disconnecting dilemma. I love the idea that a novelist can turn off the internet, start with a blank screen, put their word processor in no-distraction mode and all that sort of stuff, and just write. The kind of writing I do, and I would say you do too, is heavily research-based. 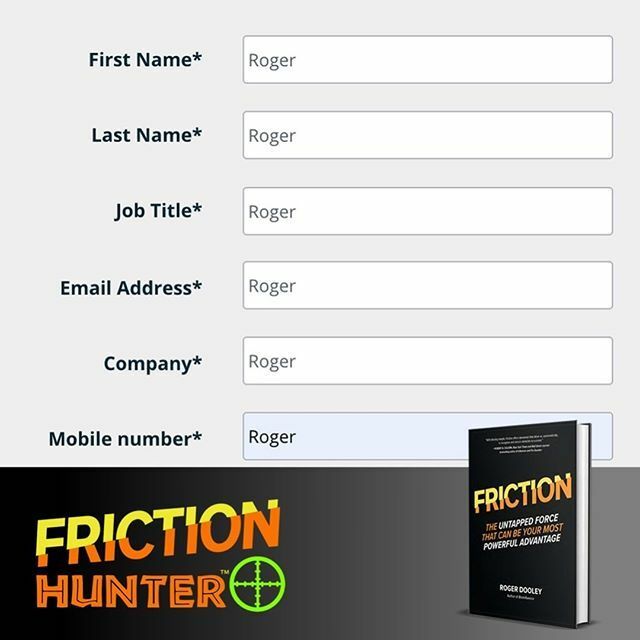 My new book, Friction, has hundreds of references, and even my blog posts typically have at least a few links to studies and resources and such. How have you done your research-based writing without going down rabbit holes where one interesting thing leads to another and so on? Cal Newport: Well, that type of rabbit hole following is not necessarily counterproductive, and it’s actually not necessarily shallow either. I think if you’re really trying to understand, let’s say, a research study on a topic that’s relevant to you and, in that study, you see citations that you’re trying to organize in your mind, “Well, which if these citations might be relevant? Let me put them on a stack right here so that, as I finish these notes, I jump to the top thing from that stack,” that type of activity would also benefit from being able to get your full, unbroken concentration. I think our definition of deep, what’s important here is to broaden it, that anything that is benefiting from undistracted concentration counts as deep work, and so we don’t have to keep just a very narrow, monastic definition of at the desk with the quill in the cave. Anything in which your mind is focused on something hard and not context-shifting can count as deep work. Roger Dooley: Yeah, I totally agree. If you’re actually following a lead and sort of following that scent, something that is very relevant to what you’re doing, although I think that, often, it’s those things in the margin that are distracting. It’s some breaking news item or related content that isn’t really that closely related, but it looks interesting and it distracts you. One thing I’ve been using a lot is a tool called Pocket, which you’re probably familiar with, for reading offline. You see an interesting article. Instead of looking at that article with all the attendant ads and related content and so on, it saves it for later so you can sort of group that effort. Also, it strips out most of the junk too that ends up distracting you. It’s still not perfect, but I find that that has kept me quite a bit more focused as I do my reading. Cal Newport: Yeah, well, Pocket’s a great idea. It’s basically an electronic version of a method that academics are used to. In my day job, I’m a professor. The way people in my field typically do research is you’ll find relevant papers, and you’ll start following relevant citations you see in the papers. You end up with, let’s say, 10 different browser tabs open, but each has a sort of different academic paper. Eventually, what you find is that the citations become circular so, as you’re following these citations, you’re not finding new things on this topic. Everything’s kind of linking back to things you’ve already found. What’s typical in, let’s say, the type of academia where I do my work is you would then print all of those articles. The finding them is one stage, but another stage is the long afternoon you spend actually going through, in like a library for example, the printed papers and reading them and trying to understand what they have to say. That’s considered a very difficult, cognitively-demanding type task, and so Pocket is essentially a more efficient way of doing this tried-and-trued academic method. Before we had browser tabs, it used to be you would be in the library Xeroxing, right? You’re finding articles. Yeah, you Xerox them, and you look at the citations, and you go to the other … I remember the math and science library at MIT, you would remember it well. You would go find where that journal was, and you’d find the article, and you would Xerox it, and you’d have this big pile. Then you would go back to your carrel, and you would have your stack of papers. It actually works really well. Pocket is a way of essentially generalizing that approach to a more modern world where everything’s online and that you probably don’t want to print it or you don’t actually have to be in a library, but the same dynamics are there, that there’s a search and then there’s a think and that you separate those two things. Cal Newport: We were all in really good shape, right? Roger Dooley: Yeah, those were the days. Now, Cal, there’s so much talk about addiction, and too much time spent online, and how sites and apps are being deliberately manipulative and so on, which is probably reasonably true. I’m kind of torn because, for years, I was a community builder, and this was even before Facebook or just in the earliest days of Facebook. I spent a lot of time myself in online forums, and these created tremendous value for their users. One early one that I worked with was a forum for webmasters and digital marketers. The interaction between people with a lot of knowledge and people who needed help was really great. Problems got solved for free, and it created a lot of user-generated content that undoubtedly just passively solved many, many, many more problems. Now, even I started a community. It started off small, College Confidential, which ended up being a hugely busy site for college-bound students and parents. The metrics that we used to see if we were working … obviously, you looked at traffic and page views and such, but some of the key metrics were time on site, the session length, and so on because, to us, that indicated that people were finding value there. Our numbers were off the chart compared to most typical websites. In fact, at one point, a writer in the Chicago Tribune called College Confidential deeply addictive and compared it to heroin and crack cocaine. Now, at the time, this was high praise. I mean we’re saying, “Wow, we are really delivering value.” We knew people were getting a lot out of it because I’d get emails from students who found their dream school or who got into a school they never thought they could with they help the got there. Now looking at this in today’s context of digital addiction and so on, I’m kind of looking back and saying, “Well, was that a good thing?” How do you draw the line, Cal, between activities that are beneficial and consume people’s time? Because there are some parents who are experienced, and they would spend hours every day helping students and, occasionally, other parents sort their way through this really complicated process. This was a great service but, at the same time, again looking at it from today’s perspective, it’s like, well, was this the best use of their time? Yes, they were being helpful. They were creating value, but were they neglecting something else that they should have been doing? How do you sort that out? Cal Newport: Well, first I should note I know College Confidential well having, back in a previous life, written three college advice books. I was a sort of a well-known presence. My books were a well-known presence on College Confidential, so I didn’t realize you were involved with this, but I remember that site well. I know it was a big source of value for a lot of people, especially the do-I-have-a-chance-to-get-into-school-X? threads, I remember, were. There was no information coming out of the universities, and so people had no way of knowing what’s going on. Who’s getting in? Who’s not? Is this good? Is this bad? It was certainly solving a problem. There’s something different going on today, and I think it’s a distinction that’s worth drawing because the social media conglomerate, so the massive social media platforms, they want to argue that people’s compulsive use of their sites is similar to College Confidential or any other of the sort of famous examples from the social internet where people have found useful resources and they spend time there because it’s useful. There’s actually something quite different going on. The complaint people have is that there’s almost like a loss of autonomy with these major platforms. They’re not coming away saying, “Yeah, I looked at Facebook 75 times today, but of course I did because I was getting all this interesting information out of it.” They look back and say, “I have no idea why I hit it that many times,” because it’s not that this is the only place I can find, for example, people actually discussing honestly their experience with college admissions. It’s these more subtle psychological vulnerabilities being exploited. They reengineered the whole experience, for example, to be not about posting information and reading information other people posted. They reengineered it, at some point, to be about social approval indicators that are coming at you intermittently through this app, artificially intermittently, by the way. They’ll hold them back sometimes to make there be bigger gaps between you sometimes get a lot of likes, you sometimes don’t. You’re being tagged in photos, but sometimes you’re not. This constant stream of social approval indicators was engineered exactly to try to get people to have to tap on this app a lot more. It was not answering a user need. It does not bring more value to the user’s life, but because they had shareholders and a fiduciary responsibility to maximize profits, they went really far in this exploitation framework, which is why I say I’m a big supporter of the social internet, the ability to use the internet to connect to people, express yourself, and find interesting information. I’m not a big supporter of this idea that we need a small number of giant companies to build their own versions of the internet that we all have to use except for, in this version of the internet, they got to watch every single thing you do and try to exploit that information to the max. I love the social internet. I’m incredibly suspicious about what’s happening right now with the major social media companies. Roger Dooley: Yeah. I have to admit that some small part of that problem … because, for a few years, I organized panels at South By Southwest about turning your product into a habit. My friend, Nir Eyal, who wrote Hooked, was a panelist a few times and some other folks with expertise in psychology and user behavior, and our intentions weren’t evil, at least as far as I know. The assumption was that if you did not turn your product into a habit then you were toast, that people would try your product and then use it once or twice and go. I think what I hear you saying, Cal, is that there is a sort of a line between making your product a useful habit where somebody maybe checks in daily, gets some value out of it briefly and then leaves versus encouraging behavior that is really sort of counterproductive for them. Cal Newport: Yeah, against the best interest of the user because that’s what I was hearing. That’s part of what motivated me to write this new book is that people’s frustration, it was not necessarily about utility. It was not, “What I’m doing when I look at the screen is bad.” It was really an issue of autonomy, this idea that, “I’m looking at my screen for three or four hours a day. I’m looking at my screen when there’s something much more valuable I should be doing right now. I’m here with my kids, but I’m not paying attention to them. I’m looking at the screen. I don’t know why. I just feel compelled like I have to keep coming back to it.” Essentially, it’s because some of the really large companies that put a lot of money behind it got too got at this habit-formation-type technology. There was so much money on the line and so much money available that they, in some sense, went too far. There’s this sense right now out there in the culture where people say, “Okay, wait a second. Who ever said that the right way to use a smartphone is I have to look at it all the time? When did I sign up for that? When did I think like, ‘You know what I really need to do is look at this little screen three to four hours a day’?” No one signed up for that, and they’re waking up one day and realizing they’re doing it. These companies have gone too far and gotten too good into making that into an addictive experience, so I think that’s why there’s pushback right now is that people, they want to embrace something. I mean I preach minimalism, which says get back in touch with what you really care about, and then you can use tech tools instrumentally and intentionally to support particular things you really care about as opposed to just making them the default, just, “Whatever. I sign up for whatever. I download whatever, and I let it just sort of take my time and attention whenever I have downtime.” I think people are done with that model, and they want to get back to the instrumental model of, “I know what I’m all about. That’s what I focus on. If and when I can use tech to help those things, I do it just like an artist uses the right tool when they’re trying to get the right effect in what they’re creating,” but people are getting tired of this maximalist approach of if it’s interesting or potentially useful, you might as well throw it into your life and just see what happens. Roger Dooley: Yeah. Earlier today, just a little while ago, I was reading an article. It was pretty funny because I thought immediately of your writing. It was about a journalist who was so skilled with her smartphone that she could look and interviewee in the eye while she was taking notes with her thumbs and listed about 20 different apps that she used to keep in touch and to accomplish her job and everything. It was like, okay, she has not yet adopted minimalism. What can our listeners do if they want to scale back? You give an example of a guy named Adam who gave up his smartphone completely and switched to an old-fashioned flip phone, which I’m guessing, for many of us, simply isn’t a real practical solution, but maybe it is for some. What are some things that folks can do? Cal Newport: Well, what I’ve learned is tips aren’t going to get you there. Nibbling around the edges won’t get you there. Adjusting your notifications or trying to change some particular habit is not enough. The forces are too powerful. Then, when the 30 days are over, you don’t just go back to this wild and haphazard mess of things that you have downloaded and signed up for randomly over the last 10 years. Instead, you start from scratch. You say, “Okay. I’m going to rebuild my personal technological life from scratch, but I’m going to do so very intentionally now, and so before I’ll let a tool back in, I first say, ‘Is this really going to help something I really care about? '” It’s not enough that it’s kind of useful. It’s not enough that it might give a little bit of a boost to something you care about. It’s, “Is this really one of the best ways to use tech to help something out that I care about?” If the answer is yes, then you say, “Great, so what are my rules for using it? Do I need this on my phone?” No, probably not. “How often do I use it? Do I use a plugin so that I don’t have to see the addictive elements?” You actually are intentional about how you use it as well. When you’re done with this exercise, you’re almost certainly going to be looking at your screen significantly less that you did before. Your life is going to have a lot more meaning and value and, here’s the key part, you’re probably going to be getting more value out of the technology you use than before as well because being intentional and having an optimization mindset when thinking about tech tools in your personal life gives you huge wins versus what most people do now, which is just this sort of haphazard accretion of things that were signed up for, downloaded randomly. That’s what I recommend. Pass the tips. Pass the good intentions. Start from scratch. Let’s rebuild. Roger Dooley: Yeah. Of that group, Cal, how did things break down when people got back online or they began to add stuff back in? Were there many folks that added very little back in? Did many just say, “Okay. Well, that was interesting, but now I’m going back to life as it was before”? Could you draw any conclusions about that? Cal Newport: One thing I noticed is probably about 50% of the people, roughly speaking, that sent me reports, maybe about 50% of them ended up essentially not adding back any social media, and about 50% ended up adding back some social media. Of the 50% that added back social media, something like 95% of them took it off their phone because once they actually got specific about, “What do I actually use this for?” and, often, they did have a very good reason, “There’s X, there’s Y, and there’s Z, which is very valuable, these platforms are helping me,” they realized that there was actually nothing relevant to that value that required them to look at the accounts 100 times a day. Looking at it on their phone 100 times a day, that’s great for the stockholders of the company, but had nothing to do about the thing they got value out of it, so 95% of this 50% that kept social media, for the most part, were accessing it on a desktop computer maybe usually once or twice a week, and so its imprint in their life became very small, but they were still extracting the biggest nuggets of value out of it. In terms of smartphones, almost everyone kept using their smartphone. Adam was rare. I’ll tell you the reason Adam did it, and I just was talking to him the other day, was he wanted to model to his daughter. He said, “I can’t be telling my …” His daughter was entering adolescence. “I can’t be giving her all of these rule, these advice about disconnecting if she sees me looking at my screen all day,” and so that’s why he did it. Most people kept smartphones. 50% got rid of social media. Of those who kept it, they very restricted it. The other thing I noticed is a lot of people significantly reduced online news consumption. They made it into something that was much more ritualized. Maybe they’d grab things in the Pocket. That’s a great example. Maybe once or twice a week, they look at the articles. Those are some of the trends I noticed. Roger Dooley: Yeah. One example you have in the book is our very own Alamo Drafthouse here in Austin. It’s a movie theater that doesn’t allow cell phone use, but their website says, “We have zero tolerance for talking or cell phone use of any kind during films. We’ll kick you out. Promise. We’ve got backup.” That’s a pretty firm statement. A lot of places discourage the cell phone use and mildly. Do you see a trend where different kinds of venues are actually getting serious about this? One of the points I made, and this became very clear in my research, is emphasizing that this constant companion notion, so the idea that your phone has to constantly be with you and you constantly have to be interacting with it, that is very, very recent. That’s not fundamental to the technology. It’s not something that’s been around for a long time. It’s actually a very recent development, and it’s not naturally emergent. The main driving force that changed the smartphone from a tool that you took out of your pocket to do something specific and into something you always looked at, into something that theaters are giving up on even trying to stop you from looking at during a movie, the main driving force to that was actually these social media companies who are trying to reengineer their experiences to be a constant companion model because that made them a lot more revenue. I really like to emphasize that people now seem convinced that like, “Well, what would you do if you couldn’t always look at your phone?” There’s nothing fundamental about this technology that says the way to extract the most value is to always look at it. That’s mainly an arbitrary behavioral norm that was pushed primarily by a small number of large platforms that needed more engagement, and so it’s arbitrary. You can go back to using the smartphone as a tool that you deploy for specific things occasionally, and you’ll be just fine. If you don’t have it during the movie, you’ll be just fine. That’s the point I’m trying to make is there’s nothing fundamental about constant companion smartphone use. That’s just a social media business model being instantiated in our culture at large. Roger Dooley: Yeah, well, and businesses do benefit, I guess. If somebody is in a restaurant and they take a picture of their meal, and they check in, and they Instagram it, and Facebook it, and so on, that’s all free advertising for the restaurant, so even it’s slightly annoying to have people standing up and photographing their food from a weird angle, there is an advertising benefit there. Cal Newport: Well, I mean there might be but, also, there’s a increasing number of restaurants that are, for example, putting out Faraday-cage-style boxes you put your phone in because it really hurts the experience. If you’re there and you’re mediating your experience through a screen, it’s not the same thing as actually having the experience. I think there’s this notion that all of this is really important and at the core of the economy and at the core of all business growth is these social media interactions. A lot of that is actually way inflated that this is … The social media companies had a large role in this, this idea that this is really somehow central to our economy. Young people, in particular, have this belief. I wrote a column about this for the New York Times a couple years ago. They have this belief that, somehow, their social media activity is kind of at the core of their career trajectory where, in reality, it’s probably having a counterproductive effect because, almost certainly in their career, rare and valuable skills is going to be, by far, the most valuable currency they have. Time spent compulsively looking at, “What’s my Instagram followers doing?” as opposed to, let’s say, learning a new computer programming language is a really unfair trade-off. I might be a little bit too skeptical on these issues, but I think we overinflate the importance of these interactions. They mainly benefit the small number of people that run these companies that need us to keep interacting with these apps so they can get the data and sell things to us, statistically optimized ads. I mean it really benefits them if we feel like we have to use these things all the time, but it really doesn’t give nearly as much benefit to the users as they’d want us to believe. Cal Newport: Yeah. It’s a fallacy and bargain because what about when, the next picture, you don’t get the likes? 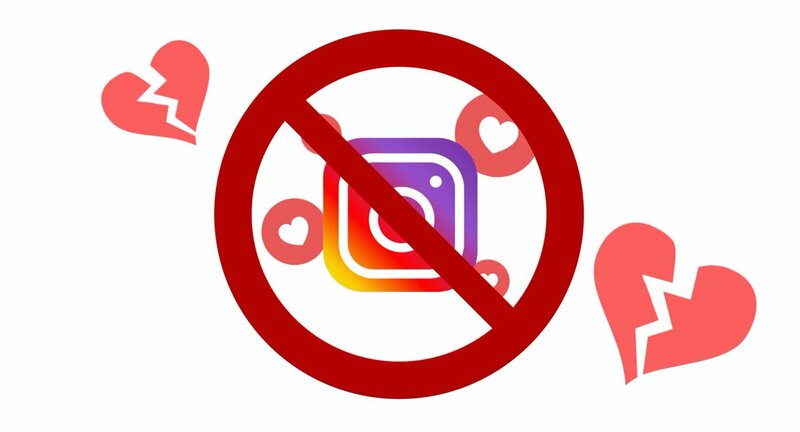 By the way, that whole feedback mechanism of likes, and hearts, and favorites, and tags, and photos, those were not introduced to satisfy a user need. Those were not introduced to make the experience better for the users. Those were introduced because now you need to compulsively check, “Did I get likes? What did people think about it?” That’s one of the primary psychological exploitations that’s at the core of the giant resurgence in social media market cap was it’s not just about posting. It’s about seeing what people think about your post. That was the genius stroke that had nothing … Original social media did not have this. There was no particular problem that it solved. What that got was massive revenue increases for companies at the expense of a lot of sort of nerves and psychological ups and downs for the users. Roger Dooley: Yeah. Well, those variable rewards really work and, yeah, remind me of a cartoon I saw a while back that a waiter is looking very worried standing over a couple at a table and, “You didn’t take a picture of your food. Is everything all right?” That’s just about what it’s come to, I think. Interesting topic that you covered was the difference between money economics, which is usually what we think about with economics, and time economics. Cal, can you briefly explain your insight on that? Cal Newport: The idea of time economics, I got it out of Thoreau. This was the foundation of his argument in Walden, which said when you’re thinking about acquiring something, for example, you shouldn’t just think about the return, the value you get from that thing. You should also think about the cost in terms of how much of your time and life and effort has to be invested to get that return. When he was talking about the mass of men who live lives of quiet desperation, he was referring to the farmers near Concord, Massachusetts where he lived, was talking about how they were taking on more and more land because that gave them more monetary profit but, to do so, they were then drowning in the amount of work they had to do to keep up that land. His argument was that trade’s not good. Who cares if you get the Venetian blinds and the nice copper pot if all you ever do is work? Is that trade-off really worth it? Well, those same time economics play a big role in understanding digital tools. All these digital tools offer some value, but the question is is it worth the amount of time and attention that it pulls from you? Is the one thing you do on Instagram you really like worth, let’s say, checking it an hour to 90 minutes a day? That type of thinking, it’s not just the value you get but what you have to pay in terms of your time, I think, is really crucial and makes a lot of sense. It’s very applicable to what we’re doing right now in the digital world. Roger Dooley: Yeah. That’s probably a pretty good place to wrap up. Today, we’re speaking with Cal Newport, author of Deep Work and the new book Digital Minimalism. I guess you won’t be dropping your Twitter handle, Cal, but where can people find you? Cal Newport: Well, I do have a website, calnewport.com. I’ve been blogging there for over a decade, so if you’re interested in these type of ideas, there’s a lot to dive into there. Roger Dooley: Great. Well, we will link there and to any other resources we spoke about on the show notes page at rogerdooley.com/podcast, and we’ll have a handy text version of our conversation there too, which you can even print out and read on real paper if you’re trying not to use electronics. Cal, thanks for being on the show. Cal Newport: Thanks, Roger. I enjoyed it.